We work VERY hard for our certifications and awards; so you can EAT the benefits! It was the vision of John Vollmer, Russell's father that transformed a traditional, conventional tobacco farm into the organic and sustainable farm that it is today. Organic growing systems are much more complex and costly than traditional methods using pesticides and herbicides; however, the health benefits and quality produce are worth the extra work and attention to detail. From our farm to your fork. It doesn't get any better or fresher than that! From early spring—and deep into Summer, here is a partial list of the bounty of FRESH organic produce you can find at our many market locations. John Vollmer -- doing what he loved most! In the early 1990s, John Vollmer, a third-generation tobacco and small grain farmer, knew that the outlook for tobacco farming was bleak. Between cuts in tobacco quotas, cheap imports and increase regulations, tobacco farming no longer made economic sense. "My main goal was to preserve and keep the farm in the family for the next generation," Vollmer said. For Vollmer and his family, that meant "unhooking" from tobacco production and being open to new techniques as they kept an eye on the practical aspects of making a living. 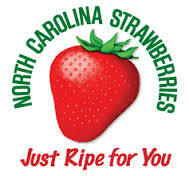 "In 1992," he said, "we looked at strawberries and saw they were a very good crop." Moreover, Vollmer had seen the number of farms dwindle in his area from about 250 in the 1970s to just 30. He realized that organic production might provide a means to keep the farm viable. 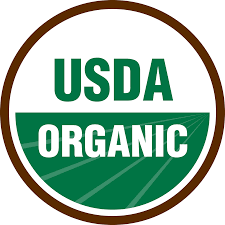 Finally, after learning of the Environmental Protection Agency's plan to eliminate methyl bromide for disease control, Vollmer decided that organic was the way to go. Heartened by the fact that scientists at North Carolina State University were focusing on organic production to help make farms more profitable, Vollmer started asking for help. "The extension agents would come to the farm and tap on my head lightly," he said of their effort to introduce him little by little to the concepts of organic farming. "They'd leave an article on the counter about how chemicals might affect earthworms, and eventually it would sink in." Vollmer strongly recommends that other growers move into the process gently, and build up the soil through compost and cover crops. "I knew my soils were in the same condition as everyone else's - basically sand with a little bit of nutrients and everything burned out. If I was going into organic, I knew I better put something back into the earth." 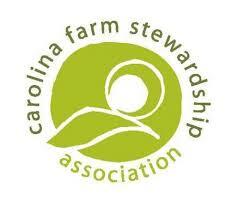 Vollmer also recommends that farmers thoroughly evaluate what specific equipment they will need for organic farming. In his case, tools such as plastic mulch and drip irrigation helped bring about a successful transition. Now, Vollmer finds organic strawberries easy to grow because the plastic mulch and drip irrigation help with both weed and insect control: The plastic helps conserve moisture, keeps soil disease off plants and helps eliminate spider mites. The plastic provides a solid layer off which he can use a high-pressure sprayer to bounce insecticidal soap onto the bottom of the leaves. While Vollmer does not farm all his fields organically, he has been so persuaded by improvements to soil quality, pH and water-holding capacity, that he applies many of the same techniques, such as compost and cover crops, to his non-organic fields. Vollmer finds great success from direct marketing, and does not wholesale any product. "Every time we wholesale, we get beat up," he said. He and his family direct market all of their fresh market vegetables and fruits through five farm stands and at the farm. Bringing people to the farm provides entertainment for families and a boost in profits for Vollmer. 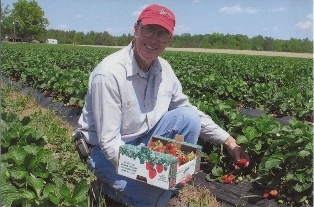 On the farm, he and his family offer "u-pick" strawberries and sell strawberry ice cream and strawberry shortcake. Using a SARE grant, Vollmer investigated how to convert one of his tobacco greenhouses to grow specialty crops - and now also has a successful lettuce operation. With the organic lettuce he provides recipe cards - and a ready-made salad mix of three types. "The SARE grant was wonderful," he said, "as it allowed me to experiment without too much risk." At first, he was going to wholesale the lettuce, and then decided to direct market, taking the lettuce in Ziploc bags to the farm stands. His lettuce operation offers one other benefit: increased contact with an engaged public. "I've now had more people coming to the greenhouse to look at what we're doing," said Vollmer, who thoroughly enjoys this part of farming. "People who come out to visit know it's important to think in sustainable ways, and they want to talk with me. I like the process of sharing what I'm doing and how we are now choosing to grow organic at Vollmer Farm."